The Manchester Unity Building is home to a handful of residents and just over 100 small businesses. As well as countless patrons, it attracts thousands of visitors every year, including participants in the Melbourne Opera House tours. Do you have family members who worked on or in the building in its early days? Have you toured the building? If so, would you like to share your experience? You are invited to publish here stories or comments of interest. Also welcome are any documents, pictures of memorabilia, or relevant historical information. Hi, I'm after information/old photos on the original shops that occupied the arcade and lower levels in the 1930's. I'm particularly interested in a millinery store called A Bandbox Creations that was in the arcade sometime during the 1930's. Any help would be appreciated. Thanks. hi, Iv been searching for information on the original stores that occupied the arcade and lower levels in the 1930. Would there be such a listing or information? I'm particularly interested in information/old photos on a millinery shop that was in the arcade called A Bandbox Creations. Any help would be appreciated. Thanks. Hi and firstly congratulations on the maintenance and historical preservation of such a beautiful Melbourne icon. It is wonderful to see people take such pride in the history of these buildings! Secondly my great grandfather completed the illustrations in the foyer of the building, apparently Marcus Barlow was a supporter of his work. Do you have any records or documentation around these friezes? I would be so excited if there were! Thanks so much. I have just had the pleasure of viewing the video tour of this magnificent building. What a treat! Dr Kia, your commitment and dedication to it's restoration is truly inspirational. Bravo. Melbourne is incredibly fortunate to have you. I was in Melbourne for a few days this week and waiting for a tram I looked up and just became mesmerised by this building. In all my years of travel I cannot remember a building that has evoked such a response. When the next tram came along I elected to miss it much to the chagrin of my girlfriend. To Dr Kia and I am sure a cast of thousands, a simple thank you for preserving such an inspirational piece of Australia's history. No, it's too precious to be labelled a building, it is a piece of sculptural living breathing art. It is now on my bucketlist to return and maybe one day find a way to tour the building. My grandfather edward cooper built the manchester unity building. as it was built in just a matter of months it as a huge feat of engineering for that time and apparently nearly killed him inhis efforts. My father was a member of the M.U.I.O.O.F. for many years, he has now passed away and I have his Robes and some other items relating to the Lodge, I any body would be interested in them for display. You can contact me on the above email address, Regards. Peter Guthridge. 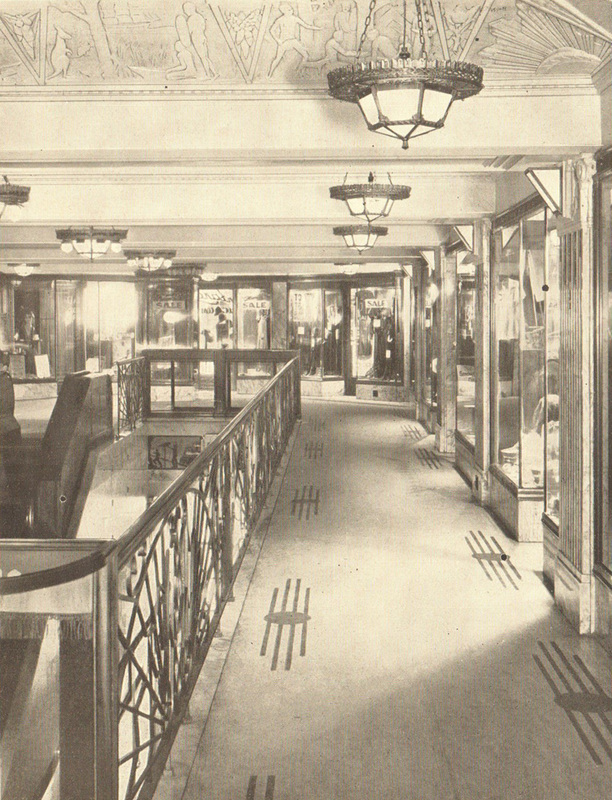 The first floor retail arcade as originally built. 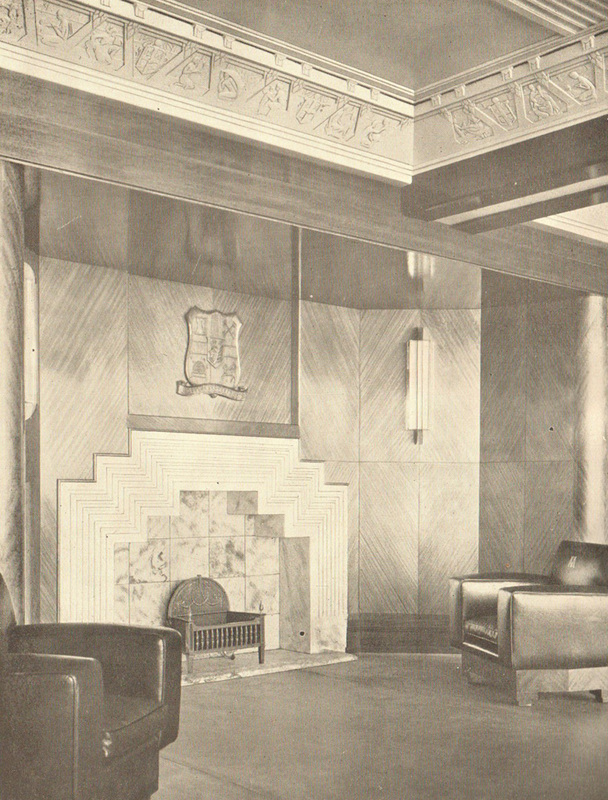 The inglenook in the boardroom, which survives intact today. 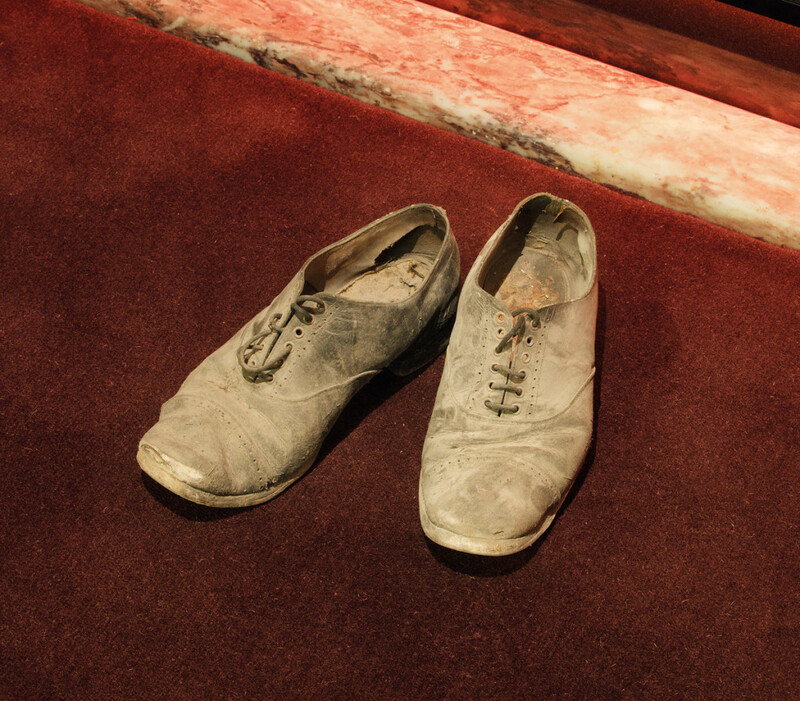 Shoes found in a wall cavity during the latest restorations, apparently left behind in 1932 by one of the building's construction workers.